I have a client who recently mounted a game camera on a tree in a part of his vineyard surrounded by forest. Every night it was entertaining to download the photos and see a parade of wildlife (with the occasional human waving as they went by): a skunk, a squirrel, different members of a deer family, some tiny creatures who were big enough to activate the camera but slipped away before being recorded. Then came the big surprise: bears. A big one, then a smaller one, hard to tell how many there were, or if it was the same ones meandering back by. Next came a debate: to ‘bare’ the bear news to visitors at the winery or on the winery website. No hesitation on the part of the guy who’d planted these vineyards 48 years ago and walks them every day. It’s nature, it’s natural, seeing the wildlife—bear or no bear. The bear is a crucial part of the habitat, of growing great grapes which have a Story. The angle of the sun on the vines, the way the vineyards are configured to cover the land, where the dirt changes, what thrives in the shade of some ancient redwoods—no question that the presence of a bear validates that this wine comes from a real place. We won’t even use the word terroir. Or: is there something to be concerned about? Not that these bears would ever amble across the crush pad almost a mile away. A touch of the wild. A sense of something scary. Something very real. Danger. One variable of many in the life of a farmer, not something that the end user should have to contemplate, much less see. Better not to go there. Everything in our existence is marketed, right? Down to fanciful wine labels which may or may not have any relevance to a certain piece of dirt. Lots and lots of artful labels and “narratives,” packaging wine to live up to the paper on the bottle. The wine industry is horribly afraid of bad news, of anything that might shadow the mystique—whether that’s the impact of smoke taint or bad weather or other farming issues which don’t easily synchronize with a list of marketing objectives. You might even say the fear of bad news is the backbone of the wine industry…. Yet. I believe there are wine aficionados out there who are searching for wines which reference a particular plot of land, wildlife or no wildlife, clever label or not. After all, what does “authentic” mean if the context isn’t complicated? And part of that complication is being truthful and honest; if you’re “the real deal,” there aren’t any secrets or mystery-man-behind-the-curtain. Back to the bear cam: my recommendation was to share the news of the bear with customers and visitors. The bear or bears are thriving in a forested part of a vineyard estate where they are happy and not bothering anyone. Lesson? Take advantage of any news to tell your story that much better, with more nuance and richness of detail and imagery. Go bears! Speaking of which, who knew so many people are intrigued enough by bears to name their wineries after them? Who could have predicted the Napa Valley would be front page news at Halloween-time all around the world…for such a terrible reason? So many angles of the fires caught the attention of so many media outlets. Human interest, tragedy, heroism, nature, business, animals, agriculture, smoke taint, toxic clean-up, science—how many more facets of a subject could there be? As someone who lived through a ‘soft evac’ and now, experiencing the fragility of our community, I’ve felt like a shell-shocked bystander as the ‘marketing of the misery’ has begun. The fires are out. Enormous numbers of people have been impacted. Vineyards and wineries are still assessing what it all means. Any business in the tourism sector is hurting. The media are still checking back…still showing dramatic and not-always-accurate images of the aftermath of the fires. So now what? It’s inevitable that this enormous and life-changing—indeed, world-changing—event would now shape marketing and publicity in the wine business. As a marketer, this may well be the toughest business climate you will ever face. Pretend everything’s back to normal? Try to educate your audience about smoke taint? Tout how uniquely philanthropic your winery is? It’s all very sticky and icky: please move very, very carefully. Let’s keep in mind what we’re trying to do. It’s a balancing act: how do you communicate that the disaster was not as disastrous as portrayed? 99% of businesses are open and eager to welcome customers. How do you respect those who have lived this tragedy personally and professionally, who need assistance? How do you acknowledge the almost undescribable heroism and super-human expertise of firefighters and first responders? How do we do something to balance these needs, to get the word out and be comfortable with how we’re doing that? “Crisis” public relations is a very, very specific discipline. What’s the best hash tag? 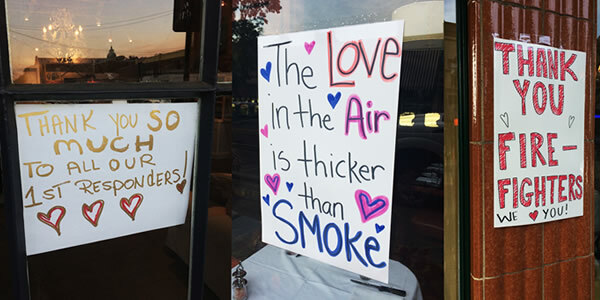 #NapaValleySpirit or #NapaStrong? #SonomaPride, #SonomaStrong, #SonomaCounty, #FrontierCulture? Do you issue a press release detailing exactly how your winery has been impacted? Is there a banner on your website home page proclaiming that you’re open for business, come on by? Of course wineries have reached out to their mailing lists to share their stories, reassure, encourage purchasing and often link to one of the many charities. Some wineries are also offering various percentages ‘off’ of purchasing, where those monies will go to the fire relief funds. Makes you wince, right? is it 100%? Is it 10%? What’s too little or too much? What’s newsworthy? Some wineries are starting their own relief funds, not content to be part of the collective impulse for good. What’s the most attention-getting donation a winery can make? One vintner got a few minutes of fame post-fire by announcing he’d match donations from a professional athlete. Where does the generosity of the philanthropy cross into the grey area of how are the funds distributed? Who is ‘more’ worthy to receive financial assistance? Who determines that? How can transparency be built in from the outset to insure that there are no ugly headlines a month or two down the road…? What about the danger of fund-raising being a spotlight for the fundraising entity vs. the recipients? HOW DO YOU DO WHAT…. One winery ran ads in a local paper thanking firefighters and listed the towns from near and far who sent engines. Events! Who better than the wine and tourism industries to organize lots of eat-and-drink fundraisers? Breweries are doing fire-related labels for new beer blends; there was a raffle offering tickets to cut the line when a popular beer is released. Videos! Lots of businesses, whether inns or wineries are telling their story with video. Regions are doing it; online retailers as well. Sommeliers have banded together to put on fundraisers. Publicists have launched specific GoFundMe programs. Bottom line, this tragic experience illustrates an axiom of the communications world: bad news is more newsworthy than good news. Lots of news outlets are maintaining lists of how to help but the road back to normalcy is unpredictable. Of course there are marvelous exceptions to the click bait of the bad news drumroll, such as the heroism of Safari West’s owner, who saved all the animals but lost his house. And thankfully there have been intrepid journalists doing their best to alert all of us to the latest developments—best exemplified by Sarah Stierch in Sonoma. Anecdotally, tourist kiosks at SFO are steering people away from Napa, saying ‘it’s all burned up.’ Also anecdotally, tourism is unexpectedly up in areas in the Northwest, where the visitors are commenting that they’d intended to be traveling to northern California’s wine regions. Lots of questions. Take time to find the answers which are the best fit for your situation. Make sure you’re finding the right tone, the right delivery vehicle, framing your communications with the utmost sensitivity. Julie Ann enjoyed putting on a business-to-business publicist ‘hat,’ as a way of helping clients of Barrel Builders. Read on for why Little League enters in the equation…..
I’ve been “practicing” the art (or is it a science?) of publicity for 34 years, in New York and California, with jaunts overseas as well as domestic pavement pounding as part of that adventure. I am honored that Barrel Builders asked me to share some tips for business to business PR which could benefit their customers. A gift from Barrel Builders to you! In hopefully easy to digest bullet points, off we go! Act like an expert: Look for panels and symposia which your industry conducts. Offer to be a panelist. You’ve probably already considered having a booth if it’s that type of program, but don’t forget the panels and speaking opportunities. What do the people say? Hopefully you get some great mail once in a while, someone expressing their gratitude for the quality of your work, how you rescued them, what a creative and thorough pro you are? Put those up on your website (it’s nice to ask permission first or using a first name only works well too). Play ball! Visualize your logo on the back of the high school baseball team’s shirts. Donate to your local schools’ sports teams or the community Little League or rec center basketball. Not only does that show your community spirit, it also of course is a not-so-subtle ad for your business. Act like an expert #2: Your goal is to be an expert whom the media seek out. They want your opinion on something in your field. Be available. Return the call as promptly as you can. Stay professional and as concise as possible. I once knew a winery president who had a separate business card he gave out only to journalists, and that number rang at a phone on his desk which only he answered, so when it rang he knew it was a journalist. Hear all about it! When you have news—a new product or service, for example—tell the world. Do you have a place on your website to share news? Do you have the ability to send eblasts to your customers (and prospective customers)? Do it! Prowl the web: Do you know of online forums which specialize in discussing the nuances of your particular niche of business? Find them and become a commenter. The readers are pre-selected and ‘silo-ed’ to be interested in your field and your products or services. Change up your delivery: Someone in your organization is good with a cell phone. Occasionally put video clips on your Facebook page or on your website: there’s nothing like a picture and there’s nothing like a moving picture. As Eliza Doolittle sang, “Words, words, words!” Go for it! It’s that time of year. All along the highways and byways and cross roads grapes are ripening. Trucks are rumbling. Crews are assembling. Harvest is starting! Hats off to the St. Helena Star for tracking the news week by week, appellation by appellation: here’s the first installment. We’ve shared some pointers about how to turn harvest into PR “gold” in the past, but here are a few quick reminders. Images. Snapshots. Video glimpses. However you can capture this very exciting and very visual time of year, do so! Tell the world. Everyone’s interested, whether your tasting room guests or club members or distributors in Dubuque or website readers or Facebook friends or Instagram pals. What’s different? Yes, everyone is harvesting, so find out what’s unique about what you and your crew do. What time in the night are you harvesting? Traditional harvest meals or snacks? Sprinkling the first load of grapes with a sparkling wine? What happens to all that pomace? Push away from your desk and spend some time following your winemaker or vineyard manager around. How do you cut off a cluster of grapes the best way? What happens to those berries as they travel to the crush pad? Get familiar with the Brix numbers. Whole berry fermentation? What kind of yeast and why? This is a chance to learn about the science of winemaking. Mother nature. Here’s a chance to put some details around how green you are, how important the birds and the bees are to creating great wine. 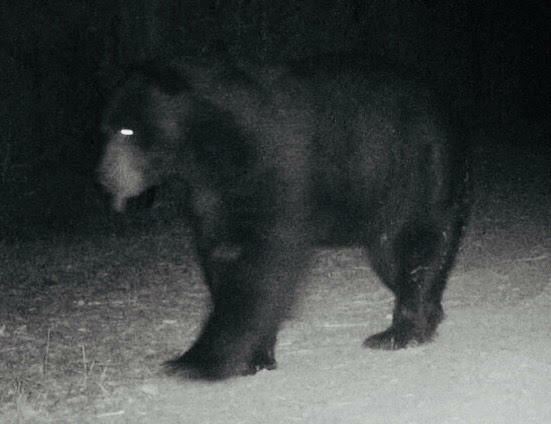 Maybe there’s a bear in the neighborhood? What kind of birds like your Merlot grapes? People stories. Who’s picking? What are their stories of favorite years, things that have gone right or so wrong? Harvest is a momentous time where the team is working together for long hours. There have to be some Stories. This is your moment to reach out to that writer you’ve been thinking about contacting. Assemble some stats and go for it. Even if the journalist doesn’t bite, he or she will be appreciative that you thought of her, so you’ve built a bit more of a relationship with that writer. Harvest is probably the most newsworthy time of the year. Make the most of it! And today’s non-Presidential election news is….that Wild Turkey has a new Creative Director, Matthew McConaughey. Adweek and The New York Times have shared the news. Mr. McConaughey himself lays it out in a short video. Here’s a product launching a lot of new marketing where the storyteller is as much the story as the product. Here he is in Kentucky, looking out over the river whose water is used. Here he is hearing the story of the three generations of the family who make Wild Turkey. He’s the journalist, he’s in front of the camera and in back of it. No frilly or pretentious language. The personality of Matthew McConaughey and Wild Turkey seem to be merging or converging, right? “If we’re for you, you’ll know,” he says towards the end of the video, his Southern come-hither gentility delivered so elegantly. Wonder if this will lead to some parodies, along the lines of what Ellen DeGeneres and Saturday Night Live created after the Lincoln commercials? I imagine that Wild Turkey will be cool with that. Fun to think how this approach could work in the wine business…. !